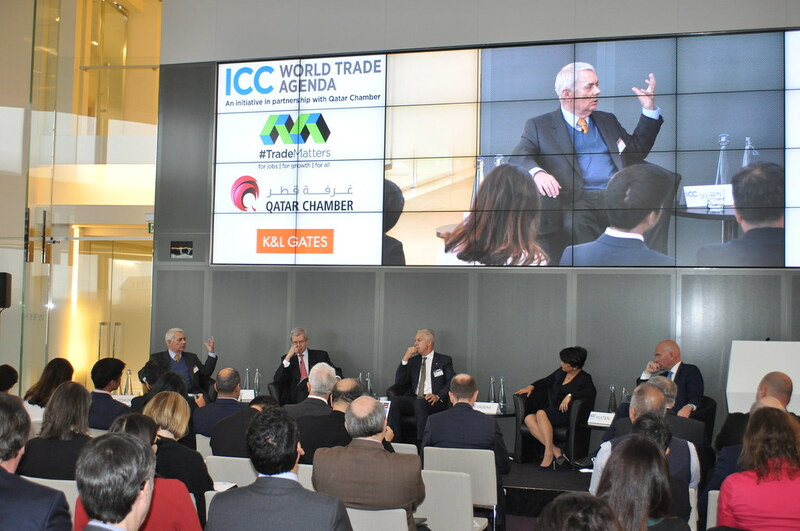 The ICC World Trade Agenda Day took place this week in London—in partnership with the Qatar Chamber of Commerce and Industry—bringing together international and British business leaders to make a positive case for global trade amid a growing tide of protectionism and anti-globalisation rhetoric. Sir Michael Rake, Chairman of BT, Karien van Gennip, CEO France of ING Bank, Philippe Varin, Chairman of Areva and Baroness Shriti Vadera, Chairman of Santander UK were among the distinguished panellists who candidly shared their perspectives on the effects of protectionism on the private sector as well as business priorities for the future of global trade. There is a pressing need to remake the case for globalisation given the growing demonization of trade in popular debate. Trade has played a vital role in raising living standards across the world—creating quality jobs and lowering the cost of essential products for consumers. That is not to say that the global trading system is perfect. Our panellists acknowledged that there is scope for positive change to enable trade to better serve the needs of families across the world. But it is only right that any debate on the role of trade in today’s economy is balanced and evidence-based. ICC’s #TradeMatters campaign works to promote a balanced debate on the benefits of global trade—find out more about how you can join our campaign. World trade depends on an adequate supply of finance to support imports and exports. Small businesses are increasingly facing difficulties in accessing bank finance for trade—with the Asian Development Bank pointing to a US$1.6 trillion gap in trade finance provision globally. That means that companies are unable to sell their products and services internationally, even though there’s demand in overseas markets. Panellists pointed to regulatory barriers to the provision of trade finance which policymakers have been slow to address. Find out more about how ICC is working to address the shortfall of trade finance through targeted research and analytics work. The World Trade Organization (WTO) has a vital role to play in safeguarding open markets and making sure that trade works for all. The event saw the launch of a new flagship ICC report charting a new negotiating agenda for the WTO, published as part of ICC’s World Trade Agenda initiative. Many commentators talk about how the Internet has democratised “voice”—and the same is true for global trade. Recent years have witnessed remarkable developments in the digital economy, creating unprecedented opportunities for SMEs to enter global markets for the first time. Data from the eBay platform shows that SMEs that use on-line platforms are more than five times more likely to export than those in the traditional economy. Global rules for e-commerce could help boost small business growth—a finding of a major ICC report delivered to the WTO last year. Concern was highlighted at the softening of the G20 Finance Minister’s stance on protectionism last weekend in Baden-Baden. Keeping markets open has been the defining success of the G20 since the 2008 financial crisis. ICC will do all it can to urge G20 leaders to take the strongest possible stance on maintaining open markets at their annual summit in Hamburg in July. In partnership with Qatar Chamber of Commerce and Industry, ICC mobilises business worldwide around an inclusive and multilateral “World Trade Agenda” that can help WTO members achieve tangible results leading to a measurable impact on trade-led growth and development.